It stuns me that we, the patients, the people LIVING WITH DIABETES, are not thought of as stakeholders. This is a pretty common theme that the broader e-patient community has seen. Good point. I would suggest that patients be seen as having a stake in all research but that seems much more significant in chronic conditions where patents are responsible for self care, particularly where patients, based on education from their care team, adjust medication levels. Another thing I forgot to mention is the various conferences that occur in medicine are often exactly the same way. I question the argument the argument that "Each study collects what they are interested in but since it is not a common data set few studies have data that can be combined and used to further additional investigation. In reality, they may examine different elements, but they've all been brainwashed into believing that the "surrogate endpoint" of HbA1c reduction is the only factor that matters. This sounds like an effort to try and repurpose the data for uses other than what the original researchers intended, but realistically what would that do for us as patients? Reduce our costs? Fat chance on that? Reduce the burden of regular care ... I'll believe it when I see it? Finally, while meta-analyses are done all the time, I'm still troubled by the idea of repurposing the data when the participants were willing to be a part of the research knowing what they were looking for. Do the trial participants get a say in whether they want to be excluded from any repurposing of the data? Again, this is because people with diabetes have been excluded from the definition of "stakeholder". Good luck recruiting when you hand them an 80-page disclosure to read. I tried to get into the Aspire study (MM LGS study) a few months ago. To address Scott's point, I did have to sign a release about whether or not I was willing to let my information be repurposed into later studies should the information relate. I'm not sure how often that question is raised however. 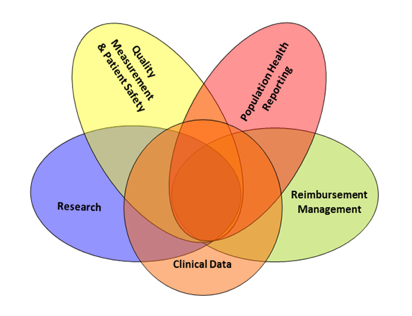 it describes the PCORI’s Patient- And Stakeholder-Initiated Path. This is a new concept for the research funding world, and I am interested in seeing what happens with it. I would love know your comments and ideas on this concept and what type of feedback we can provide as a type 1 diabetes community to move this agenda forward. You can find me on twitter at @GluJoyceMD or email me at joycelee@T1DExchange.org to further the conversation. Good link. I like this part, "It is a more time-consuming approach because it involves reaching out to the community to solicit questions, vetting questions to ensure that they constitute true research gaps, and constituting and preparing the multi-stakeholder Advisory Panels that will help us in prioritization. But this effort is necessary if we wish to avoid funding research that doesn’t find its way into practice." I particularly like the idea of investing in understanding patient communities so that research outcomes lead real world practices.